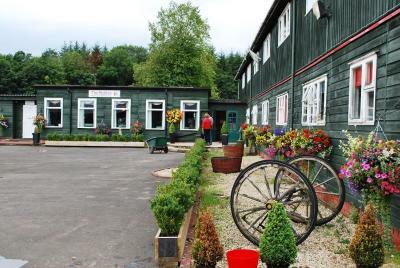 Lock in a great price for Scottish Equi B&B – rated 8.8 by recent guests! Spotless accomodation. Lovely location for a stroll. Staff were really friendly and helpful. Great breakfast. Will be returning, hopefully with family. Service was amazing, the b&b itself was lovely. We will be back for sure when we come and visit family. Thank you very much. 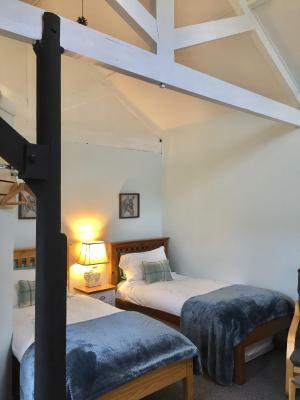 The b&b was in a great location, I always prefer to stay out of town a bit when I go away. Lovely places to walk in the evening. This was a great location for going into Lanark. Room had everything we needed and wanted. Comfy bed. Great breakfast. 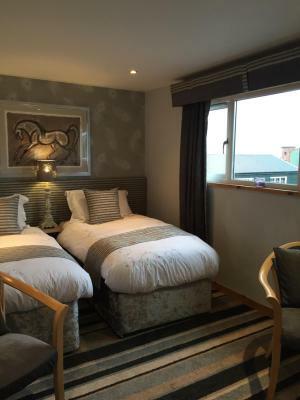 The room was clean, tidy and the staff were helpful. Comfortable beds, welcoming host/owner. Warm room. Excellent breakfast. 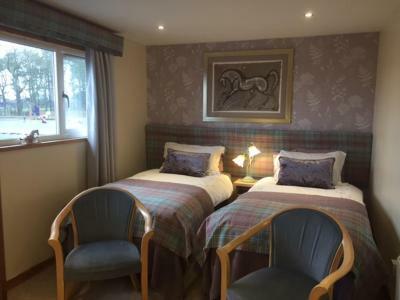 Scottish Equi B&B This rating is a reflection of how the property compares to the industry standard when it comes to price, facilities and services available. It's based on a self-evaluation by the property. Use this rating to help choose your stay! 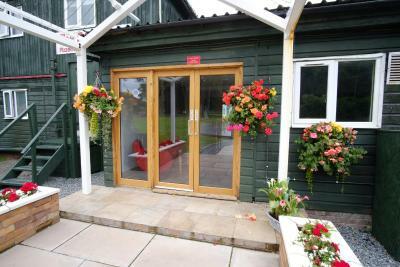 With a 4-star rating from the Scottish Tourist Board, The Scottish Equi B&B offers high-quality accommodations on Lanark Racecourse. 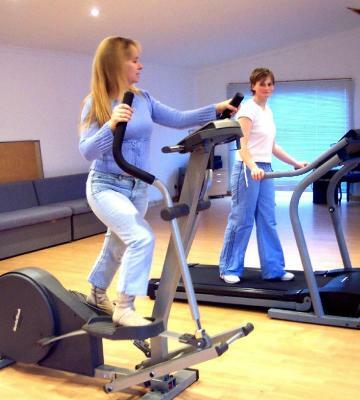 Each room has private bathroom facilities with shower and complementary toiletries. 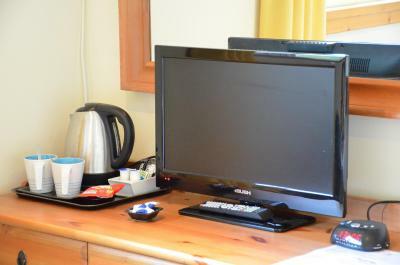 There is a flat-screen TV with DVD player, hairdryer and tea and coffee facilities. 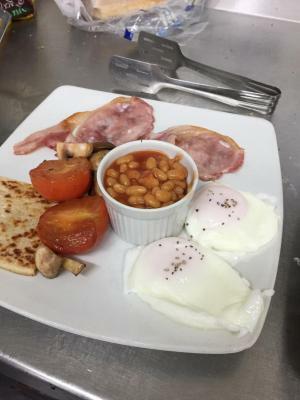 Breakfast is served from 08:00 – 10:00 each morning, with a full English featuring locally sourced produce. 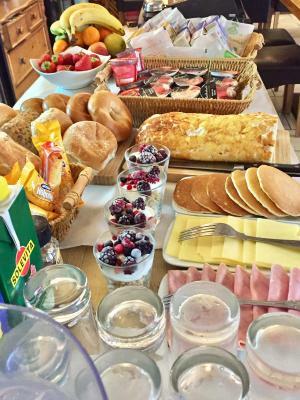 There is cereal, juice and toast too, and a continental selection for guests leaving early. 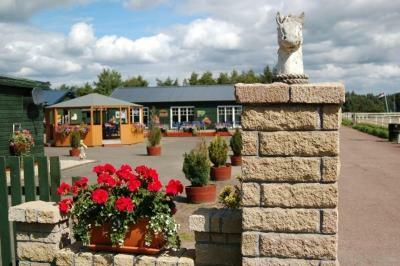 The area is ideal for golfing, fishing, walking and cycling holidays, and The Scottish Equi B&B lies beside the pretty Lanark Loch. New Lanark, a restored 18th-century cotton mill village, is a World Heritage Site and around 5 minutes’ drive. 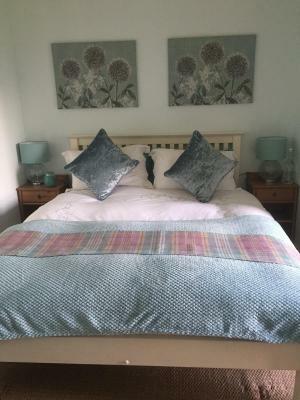 When would you like to stay at Scottish Equi B&B? 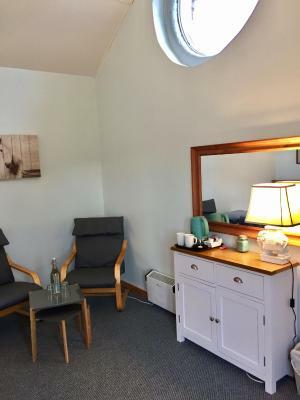 Located in the annex, this room features a flat-screen TV with DVD player, hairdryer, tea/coffee making facilities and a sofa bed. 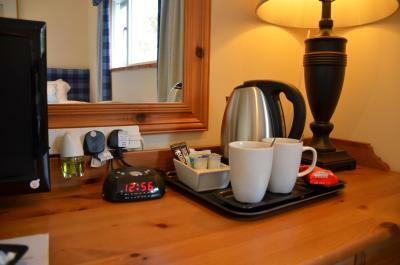 This twin/double room has a flat-screen TV with DVD player, hairdryer and tea and coffee facilities. 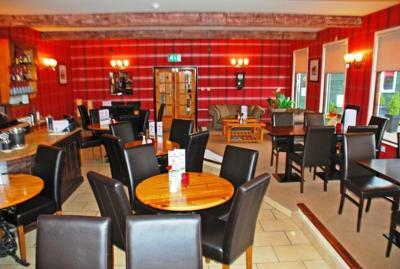 This family room features a flat-screen TV with DVD player, hairdryer and tea and coffee facilities. 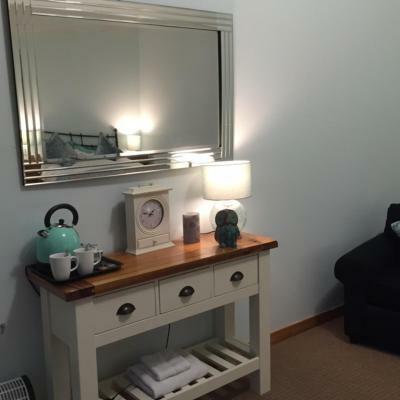 This single room features a flat-screen TV with DVD player, hairdryer and tea and coffee facilities. 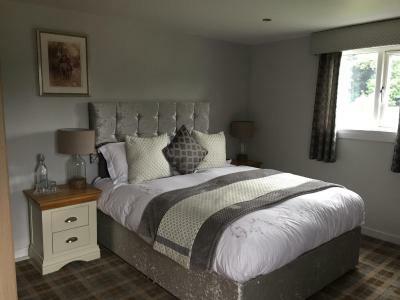 We are unique in the B&B sector. 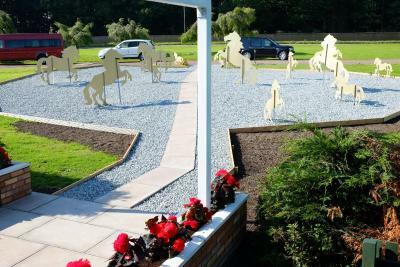 The property is part of a large busy horseriding complex so you can watch the moving tableau of horses and riders as you have breakfast. 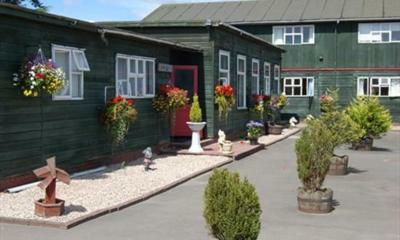 This is the original jockey quarters of the once famous Lanark Racecourse. It was the oldest Racecourse in Britain and it was raced on in Roman Times. 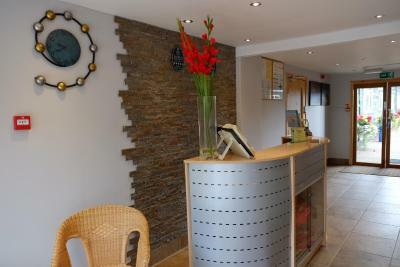 Obviously we have extensively renovated the property to bring it into line with todays modern traveller. 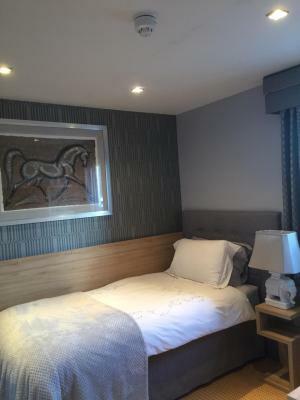 Our rooms are modest in size but are warm and cosy and boast every facility you would require. 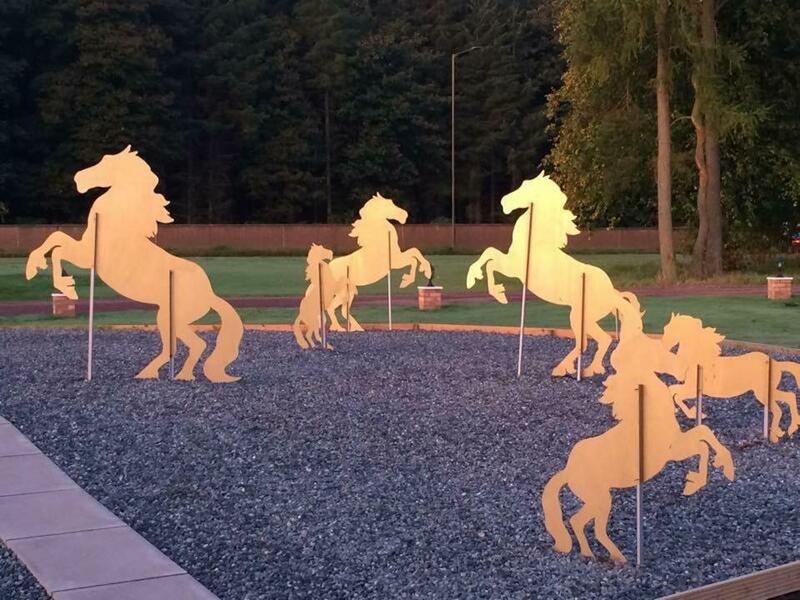 House Rules Scottish Equi B&B takes special requests – add in the next step! 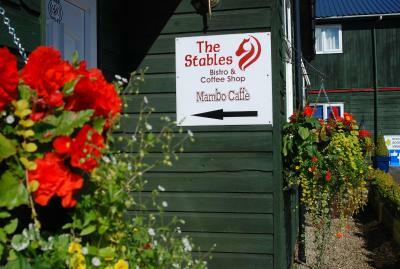 Scottish Equi B&amp;B accepts these cards and reserves the right to temporarily hold an amount prior to arrival. 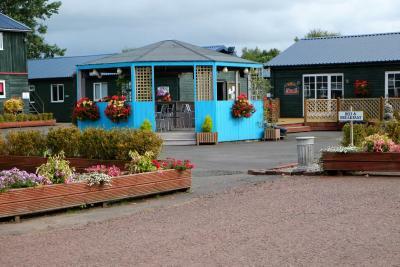 Scottish Equi B&B accepts these cards and reserves the right to temporarily hold an amount prior to arrival. To help locate the property please navigate using "Scottish equi complex". Due to business i could not try the breakfast. Sammy Miller-like vehicular access. If it had been wetter, I would have needed swimming trunks for the potholes.